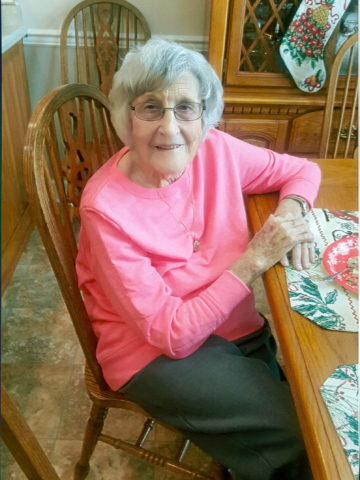 Mrs. Eunice Woods Wheatley age 88, of Hendersonville, TN, passed away on Saturday, August 11, 2018. Mrs. Wheatley was born in Hendersonville, TN, on December 8, 1929, the daughter of the late James Hunt and Hattie Lewis Hunt. She worked many years at Western Electric and DuPont. In addition to her parents, Mrs. Wheatley was preceded in death by her first husband, Bill Woods; second husband, Lewis Wheatley; a sister, Carolyn Davis; and a brother, Lewis Hunt. Survivors include three nieces, Barbara (John) Duke, Betty (Tommy) Chester, and Lisa (Steve) Freeman; a great-niece, Jackie Duke; and two great-nephews, Brent Duke and Drew Chester. Graveside and interment services will be held Tuesday, August 14, 2018, at 2:00 P.M., Hendersonville Memory Gardens. Gathering of Family & Friends will be held Tuesday from 11:00 A.M. until the service hour at Hendersonville Funeral Home. Flowers will be accepted or memorial contributions may be made to HighPoint Hospice 575 E. Bledsoe Street #9, Gallatin, TN 37066 or Blessed Homecare 219 Evergreen Circle Hendersonville, TN 37075. Such a dear friend to my family while she and Lewis were our neighbors. My sympathy to the family during this difficult time. Everyone at Blessed HomeCare loved Eunice and her sweet family. We are keeping the family in our thoughts and prayers.